Explosion! 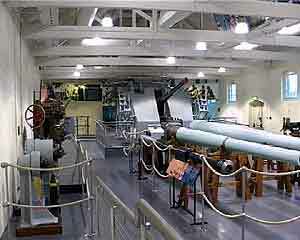 is an award winning museum of naval firepower created within 18th century buildings at the former naval ordnance depot of Priddy's Hard, Gosport, purchased by the Board of Ordnance in 1760 to relocate the Navy's powder magazine from Portsmouth. The museum is housed in a group of listed buildings which centre around the original powder magazine of 1777. These sit on the edge of a delightful camber basin on the western shore of Portsmouth Harbour, with views across to Portchester Castle, Whale Island and the Naval Base. The displays explore the 18th century origins of Priddy's Hard, its historic buildings and earthworks, bringing alive the site's rich history. There's a fascinating social history too, including the story of how 2,500 women worked on the site during its peak in World War 11. It describes the role that Priddy's Hard played in naval operations worldwide for over 200 years, as well as its importance to the local Gosport community, which not only armed the Navy but also fed and watered it. Nor are the human, social and moral consequences of warfare forgotten -visitors will be provoked as well as educated and entertained. 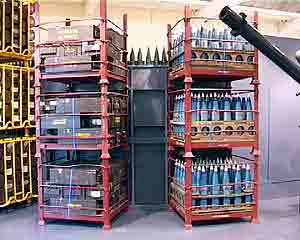 The museum's extensive and unique collection was mostly assembled by superintendents of the former Naval Armaments Depot at Priddy's Hard. If it hadn't been for their foresight, a large slice of naval history would have been lost. 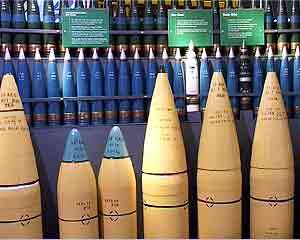 Thanks to their efforts the museum boasts an extensive collection which includes small arms, cannon and guns, shells and munitions, mines, torpedoes and modern missiles. There's even an atom bomb, whose ominous hulk visitors will see in the Missiles Gallery. But alongside the hardware, Explosion! tells a human story - of the designers, makers, seamen and thousands of female munitions workers who worked with these armaments over the centuries. 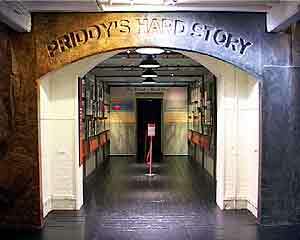 From the beginning of exhibition, where a simulated locker room reveals Priddy's Hard through the eyes of those who worked there, visitors experience a real sense of the lives which this amazing story has touched. Throughout the exhibition, the designers bring the story to life with dramatic audio-visual effects and scene-setting, computer interactives and hands-on displays. 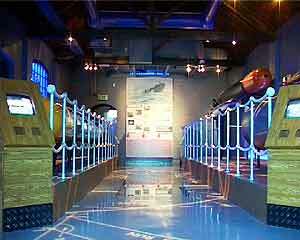 Visitors walk along the sea bed in the Mines gallery, for instance, and stand on a heaving deck to feel what it was like to fire one of the Navy's big guns. Explosion! is a modern museum providing a complete visitor experience with a full range of facilities and access for all visitors. There is a shop selling books and souvenirs and a cafe overlooking the camber and magnificent views of Portsmouth Harbour. 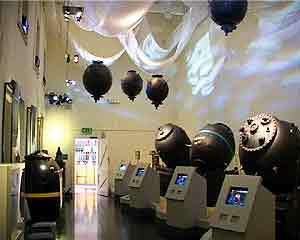 The galleries and displays which have been created represent a first phase of development for the museum. It is intended that later phases will be developed using the buildings which currently house the extensive reserve collections opposite the Grand Magazine and the impressive 'E'-magazine, sited in the ramparts and reputedly constructed from no less than three million bricks. These substantial buildings have the potential to house additional galleries, including a multi-media naval battle experience adding further dimensions to the Priddy's Hard story. There are also plans to convert other buildings within the complex to provide a climate-controlled environment for the museum's extensive archive (currently stored in Winchester), and to enhance the museum's education facilities. Many of these later developments provide exciting opportunities for corporate sponsors and individual benefactors to become involved in the project. Details of these and other sponsorship opportunities can be obtained from Ian Lycett at Explosion! Explosion! was created for £3.5 million pounds which was funded by the Millennium Commission as part of the Renaissance of Portsmouth Harbour Millennium Scheme and is the centre piece of 22 acre Heritage Area acquired by Gosport Borough Council from the MoD in 1994. A triangular peninsula bordered on two sides by Portsmouth Harbour, the other by 18th century ramparts, the Heritage Area is made up of extensive parkland and historic buildings. n due course the buildings will house a range of leisure uses including waterside bars and restaurants and an antiques/crafts centre, while visitors will also be able to walk the ramparts and enjoy the site's open spaces. Priddy's Hard is now linked to the main A32 by a new access road, and a new pedestrian bridge, funded by Millennium Commission grant, which connects the site to the rest of the Gosport waterfront and the town centre, carrying the Millennium Promenade which runs for 3km to the Submarine Museum. In 1759 the Board of Ordnance purchased 40 acres of agricultural land from Jane Priddy and others to construct an earth rampart as part of the defences of Portsmouth Harbour and the Dockyard. Soon afterwards, the Board decided to relocate the gunpowder stores from Portsmouth to Priddy's Hard for safety reasons. Construction of the new powder magazine on land within the ramparts commenced in 1769, together with an office, cooperage and an adjoining camber basin. In 1777 the first powder barrels were moved to Priddy's Hard from Portsmouth's Square Tower. During the 19th century further magazines and buildings were added including the installation of a narrow gauge railway system across the whole site and the construction of piers on the Harbour. The site was altered continuously during the early twentieth century and it was fully utilised during both world wars when thousands of women workers filled jobs vacated by men on active service. The site was last used for significant naval activity during the Falklands Conflict in 1982, and was vacated by RNAD Gosport in 1988 when it relocated to Frater further north on the Harbour. 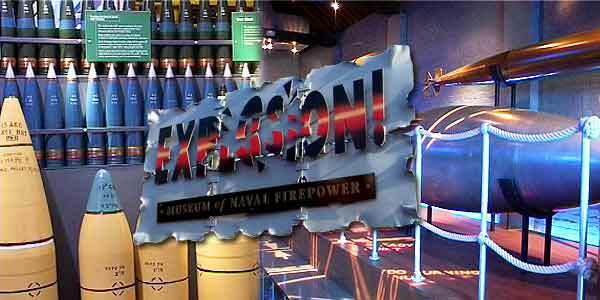 Please visit this wonderful Museum when you visit Gosport and see more of it's fascinating exhibits. In Anerham (Netherlands), Anglo-American armed forces attacked with three big combat divisions on 17 September, 1944. This was the biggest ever air invasion. 2800 fighter planes and 1600 gliders were used in the air combat! (664 - 610 B.C) - Ruler of Greece, Saemthik First, surrounded Azothus (Israel) with his troops for 29 years!